First time visitors to America’s Finest City are in for a treat whether they visit during the sunny days of spring, summer, fall or winter. San Diego is open 365 days a year and is always ready to entertain. The moment you arrive you can’t wait to return. For some, a first time visit turns into a lifetime stay. 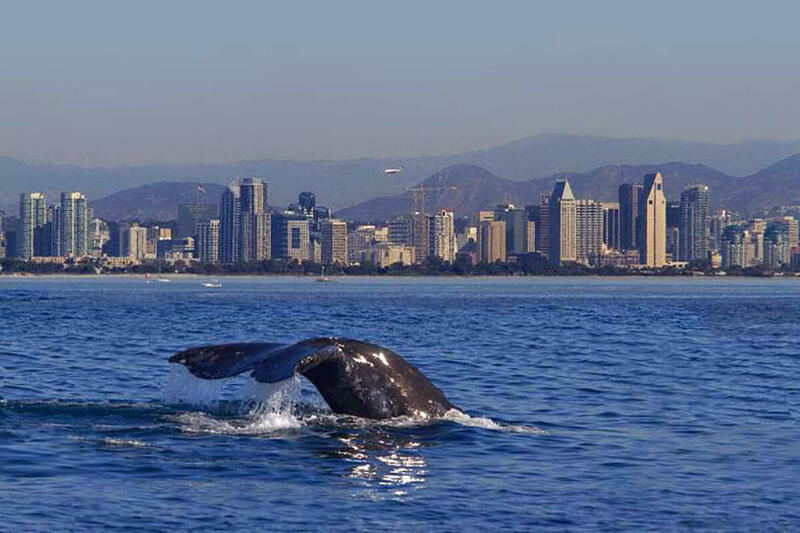 The city embraces visitors with open arms, inviting guests to run their toes through miles of sand-filled beaches, splash in the grand waves of the Pacific Ocean, spend the day with amazing animal friends at a world class zoo, hike countless trails, take in both professional and college sports and sample more craft beers than imaginable. Come for a day, a week, a month or more and you’ll find entertaining adventure to fill each magical moment. Check out the best way to see the city sights not just on land, but by sea as well. 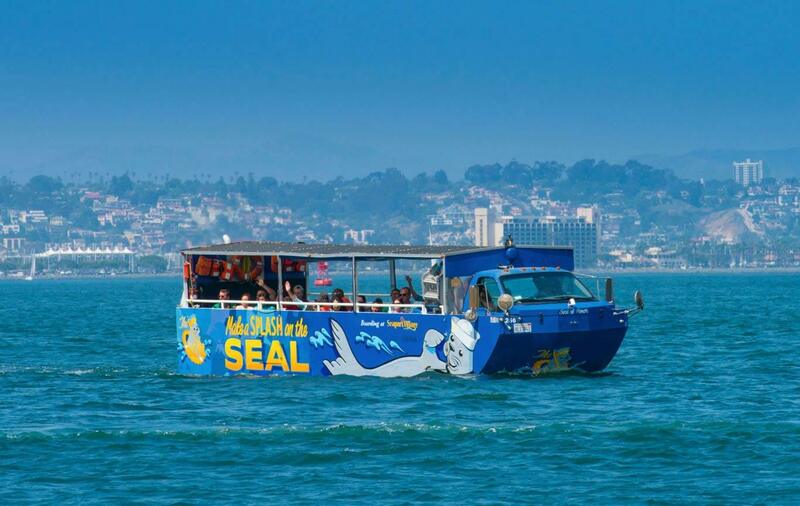 Pick up your tour at Seaport Village or the Embarcadero and take off for an unforgettable amphibious adventure. Explore San Diego’s streets and waterways as your friendly driver shares the history of this beachside oasis with you. All the big hotel players from Hyatt®, Hilton®, Marriott® and more are located in the marina district and offer various accommodations in downtown San Diego. With views of the water and passing yachts, resting your head near the famed Embarcadero is a relaxing spot unlike any other. 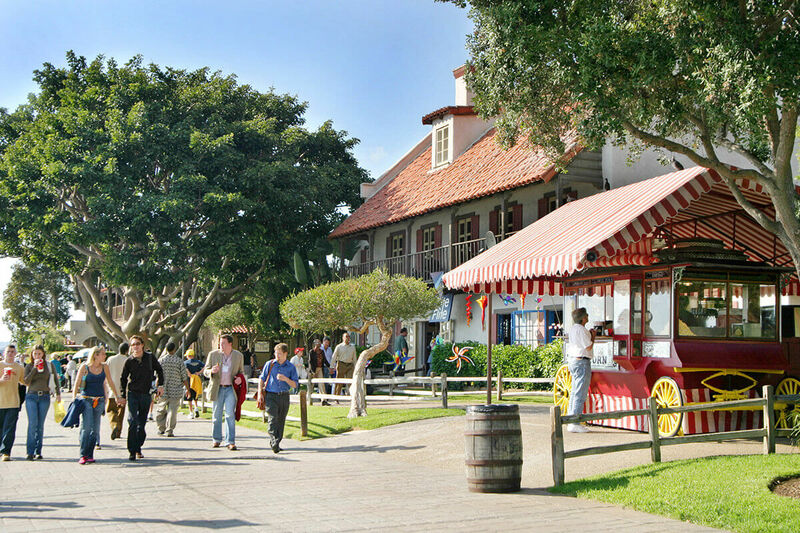 Check out the restaurants, shops and sunset viewing spots at Seaport Village and The Headquarters. Climb the stairs at the nearby Convention Center for stunning views of San Diego Bay, the Coronado Bridge and Coronado Island. Hop on the ferry and venture across to Coronado and visit the iconic Hotel Del Coronado® and spend the day in an idyllic island location. During the summer, check out the San Diego Symphony Orchestra Pops Concerts and various events on the lawn of Embarcadero Park. San Diego’s Gaslamp Quarter houses restaurants, pubs, bars, clubs, historic landmarks, hotels, shops and more. The 16 ½ block radius spans the center of the city providing visitors an opportunity to wander historic walkways, crosswalks and viewing spots and take in the sights of the city. 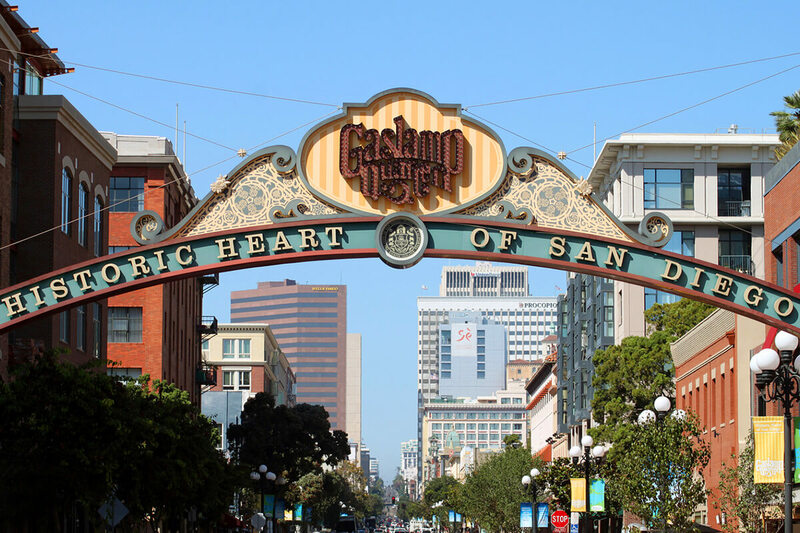 Join a walking tour and awe at the architecture merging old with new, the original gaslamp and the sweet chocolate sensations of the Ghirardelli Ice Cream and Chocolate Shop. A short walk to Horton Plaza finds a Southern California outdoor mall complete with Macy’s®, movie theater, shops, plazas and more. Horton Plaza Park, a new central venue space, provides a perfect spot to rest amidst the bustle of the city. A short walk from the USS Midway Aircraft Carrier Museum and the Maritime Museum, Little Italy provides visitors with a spectacular Saturday Farmers’ Market and Italian eateries as far as the eyes can see. Take your pick of pizza, pasta and parmigiana and alight your senses while wandering this neighborhood of food, parks, breweries and afternoon delights. On Saturday morning, be sure to rise early to get the best pick of the market. Whether you’re a fan of food trucks, crafts, coffee and unique local products or just enjoy strolling through a market, this one will not disappoint. Packed with visitors and vendors alike, this market is complete with sea urchin, hot sauce and all things organic. The largest Farmers’ Market in the downtown area is bound to fill both your soul and your belly. As the newest addition to San Diego, the East Village is constantly growing. Baseball aficionados will be cheering as they’re a stone’s throw from Petco Park and book lovers will find solace at the City Library complete with a roof deck art gallery, event space and viewing platform. Check out the constant building of new apartments, Fault Line Park, and the outdoor entertainment space at The Quartyard. Mission Brewery housed in the old Wonder Bread Factory provides hours of enjoyment for craft beer fans while foodies delight in our juice bars, ramen restaurants and tasty eclectic cuisine. Known often as the Jewel of Southern California, this coastal beach locale is filled with everything spectacular. From breathtaking views of the Pacific Ocean, home to the world renowned Torrey Pines Golf Course and upscale hotels and restaurants, La Jolla boasts incredible views from all angles. Don’t forget to stop by the cove to spot the famous seals and to explore the caves. 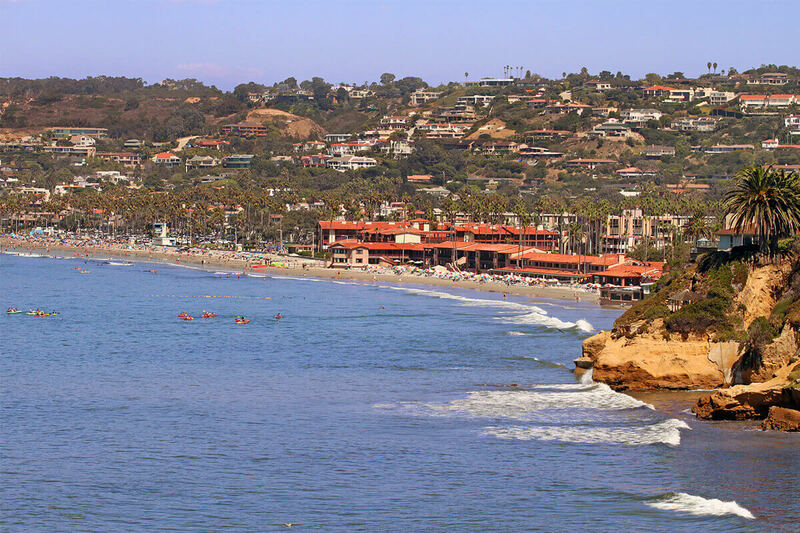 Boardwalk, beach town, beachside amusement park…this is what you’ll find in Mission Beach. Complete with a roller coaster, mini golf and wave house, this iconic region of San Diego has been around for almost a century. Here you’ll see barbecues on the beach, boardwalk goers, sunset watchers, volleyball players, and bicycle riders amidst a beachside town of locals and travelers alike. Officially known as the Birthplace of California, Old Town houses a state park with many influential points of interest, vendors, entertainment, restaurants, museums, galleries and more. 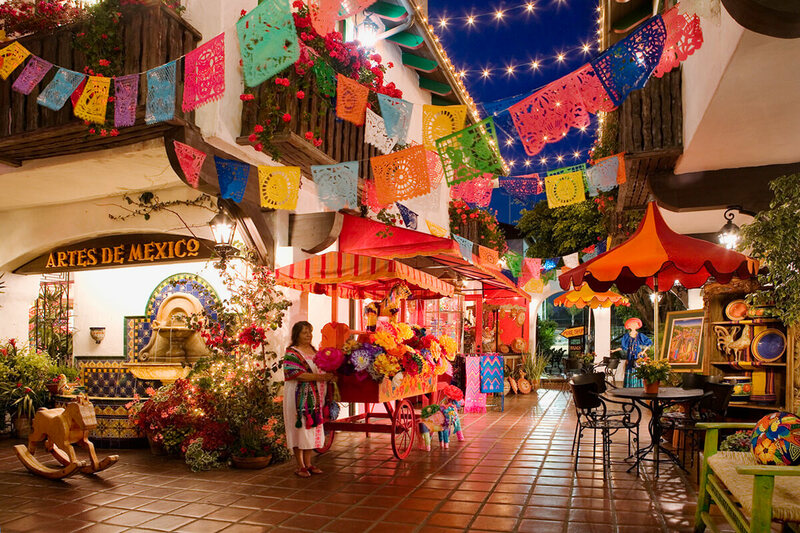 Come for the mariachi music or the fresh made tortillas – regardless of the reason, you won’t want your visit to end. Bring the family to check out the schoolhouse, creameries and be sure to take the opportunity to dip your entire family’s hands into wax to create one giant family candle memory. Housing five diverse districts, Point Loma offers a special spot by the water. From the restaurants of Liberty Station to the multi-million dollar homes on the Point, you’ll find surf, sand, and sea life all around. Be sure to check out Cabrillo National Monument for a view of the Point Loma Lighthouse and sensational Tide Pools.